Fiction books or novels became popular during the Victorian Period. As children now had to attend school where they were taught to read and as limits were put on the number of hours they could work each week, Victorian children had the time and ability to enjoy reading stories. Thomas Hughes who wrote Tom Brown's Schooldays, published on 24th April 1857, about a naughty boy at Rugby School for boys. 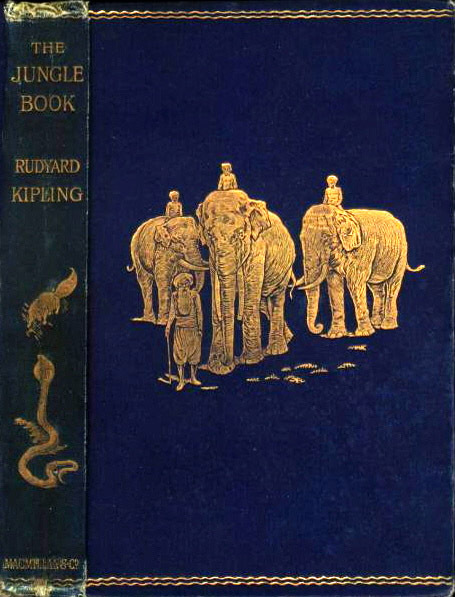 Rudyard Kipling who was born in Bombay, India and wrote The Jungle Book, published in 1894, about the animals living in the jungle there. The best-known of the stories in the collection are about the adventures of the baby Mowgli who is raised by wolves. Robert Louis Stevenson who wrote Treasure Island, published on 23rd May 1883, about: pirates, treasure maps and buried gold. Lewis Carroll who wrote the fantasy story Alice's Adventures in Wonderland, published on 4th July 1865, about a girl named Alice who has a dream that she falls down a rabbit hole and meets strange characters like the Hatter and Queen of Hearts. Sir Arthur Conan Doyle who wrote crime stories about an imaginary London detective called Sherlock Holmes, first published in 1887. Charles Dickens who wrote most of his stories as serials, published as separate chapters which ended in cliffhangers. Oliver Twist was fully published by April 1839 and was about an orphan living in a workhouse. A Christmas Carol was published on 17th Decmber 1843 and was about a man named Ebenezer Scrooge who was visited by ghosts persuading him to enjoy Christmas time.